The congressional committee tasked with reaching a deal on border security met for the first time last week. They have 11 days before President Trump’s threat to shutdown the government is realized yet again. U.S. Rep. Rodney Davis talked with Transportation Security Administration officers in a visit to Central Illinois Regional Airport on Monday to assess the impact of the recent partial federal government shutdown. With paychecks for federal workers in Bloomington-Normal still lagging, the Central Illinois Regional Airport has opened a food pantry and support center. Food pantry operators in McLean County say if the partial federal government shutdown continues to drag into February, they will have many more mouths to feed. We all know weather forecasters never get the forecast right, except for the 90 percent of the time when they do. The leader of the Bloomington-Normal Association of Realtors says the government shutdown has little impact on local home loan programs. 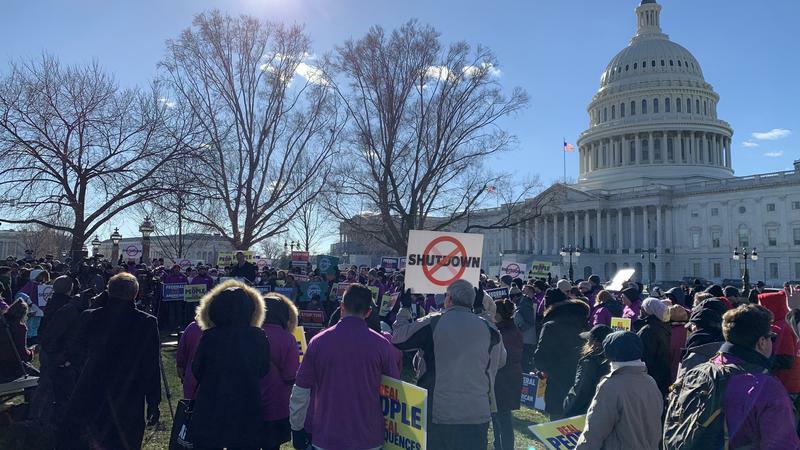 An Illinois Wesleyan University economics professor wonders how long federal employees will continue to work without paychecks as the longest government shutdown in history has surpassed three weeks. House Democrats on Thursday approved a plan to re-open the government without funding President Donald Trump's promised border wall. President Trump has signed a stopgap spending bill passed by Congress on Monday, ending the partial shutdown of the federal government after three days. Springfield's Lincoln Home National Historic Site is closed due to the federal government shutdown.